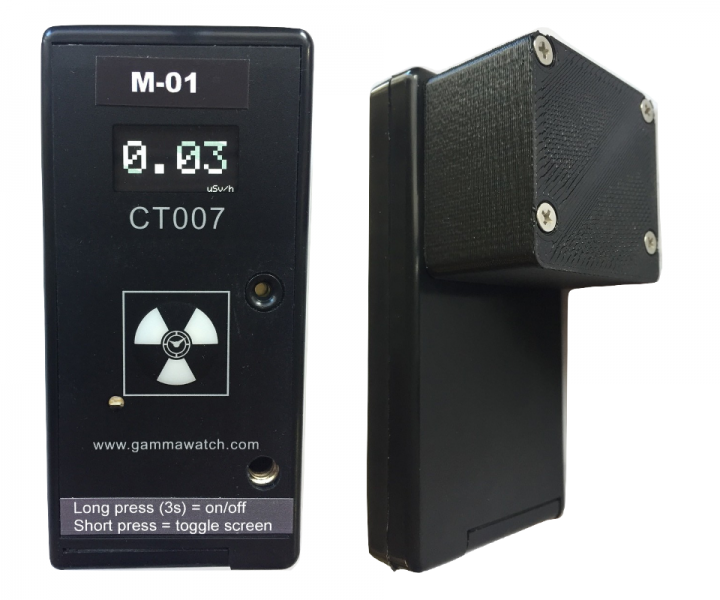 The CT007-M is intended for finding concealed sources of radiation. It features nearly twice the sensitivity of standard microR meters, based on a 1” NaI scintillator, at a much smaller size. 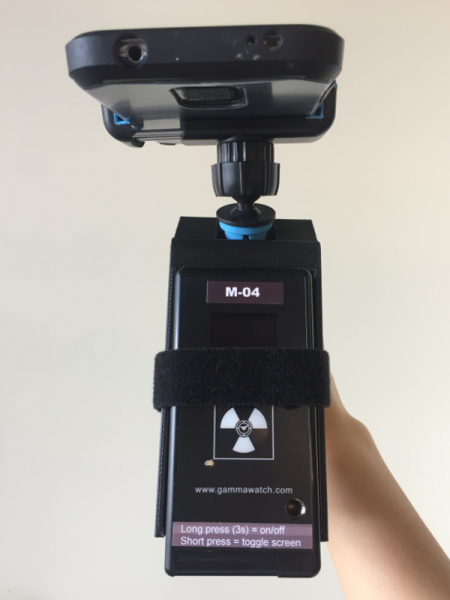 By itself, the CT007-M is ideal for measuring low environmental levels of radiation such as for clean-up projects or mineral exploration. 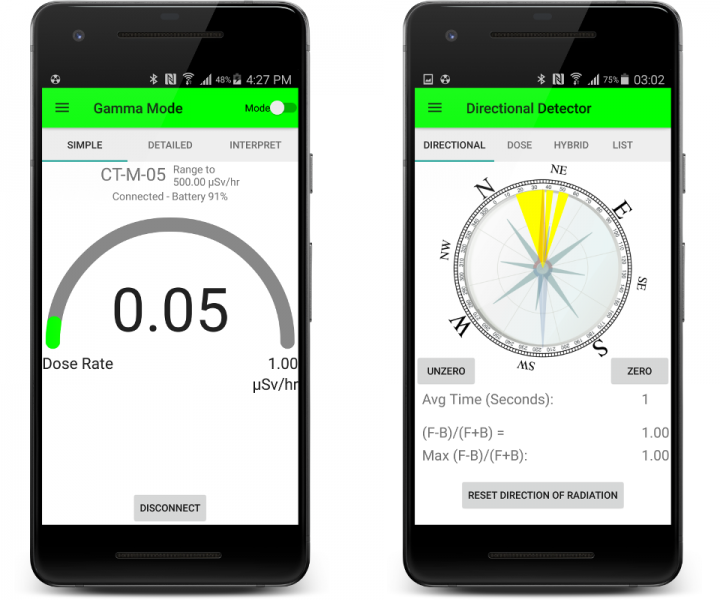 When two CT007-M are connected to the GammaGuard app, the app can compute the direction of the radiation source by comparing the radiation levels detected by the two detectors. 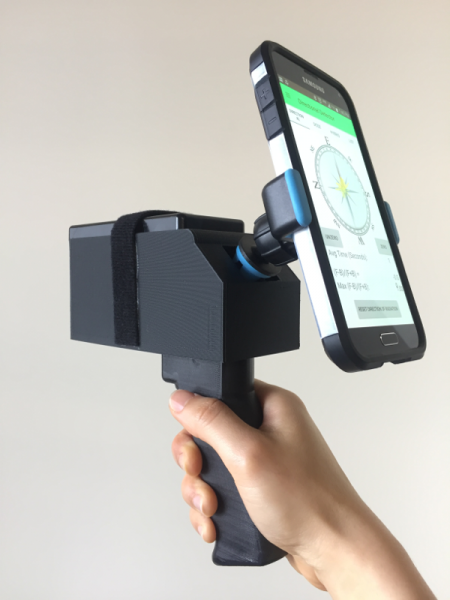 The result is plotted on a compass display on the phone. 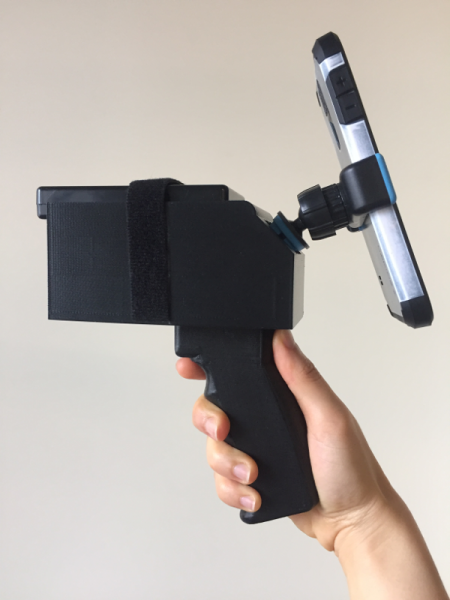 A lightweight and ergonomic assembly combines the two CT007-M and smartphone for comfortable one-handed operation. The Smartphone provides a large display with access to a feature-rich menu. The phone’s audio can be played through earphones for use in noisy environments.